Optimize your clinical workflow and eliminate transcription costs using the power of your voice and integration with Allscripts Sunrise. Call us at -- (800) 349-7001 -- or Submit the form for a call back. 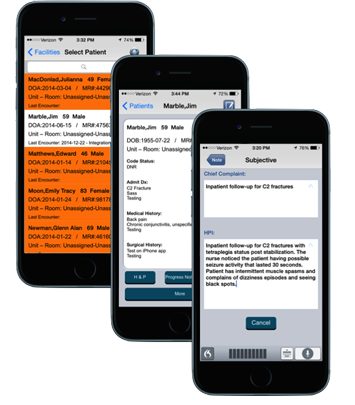 Quickly locate, add, review, edit and update patient records in Sunrise without leaving the MDLog app. Referring to past notes or determining active problems is little more than a single click away. 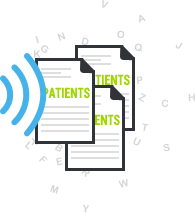 Quickly document clinical notes such as History & Physical, Progress notes, and Discharge summaries, and immediately post them in Sunrise, facilitating better, faster care for more patients. 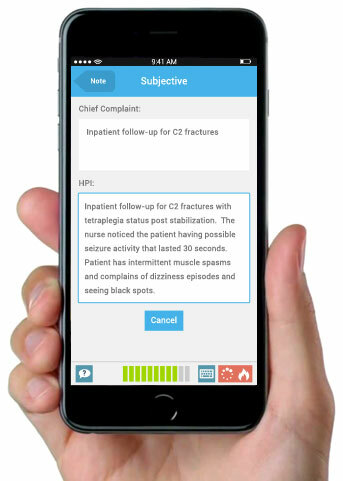 MDLog uses technology from Nuance - the leader in coupling technology and natural language - harnessing the power of the physician’s voice to control and interact with Sunrise patient records. No more typing on tiny on-screen keyboards or clicking through endless menus – instead, join today’s most efficient hospitals who dictate more than 20 clinical notes per physician daily in real-time, increasing their face time with patients, and the quality of their care. 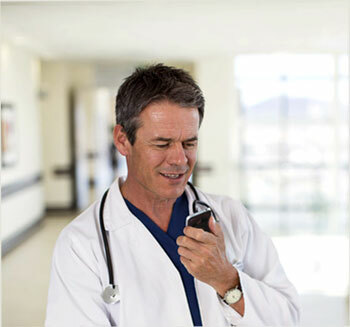 Because of MDLog’s ability to use the physician’s voice, documentation is automatically transcribed into notes, turning delays of 12-24 hours via an external service into an immediate and integrated part of dictation, saving hospitals thousands of dollars monthly. MDLog automatically synchronizes patient records from Sunrise that are assigned to the physician. 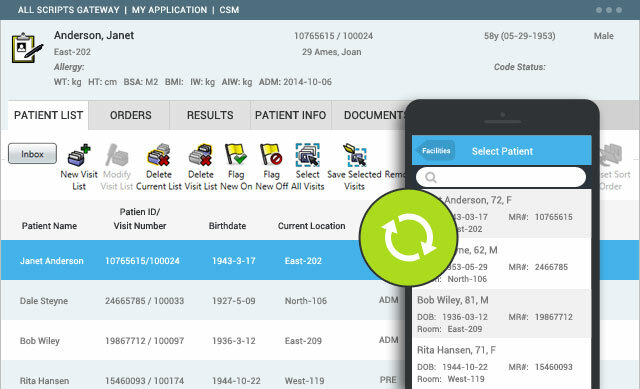 MDLog’s bi-directional sync process ensures records updated within the app are updated within Sunrise, keeping physicians focused on providing quality healthcare with zero burden on IT. With little more than the Sunrise logon already used today, MDLog quickly and easily establishes a seamless integration with Allscripts Sunrise 6.1 within minutes. With MDLog, there’s no complicated backend systems, nor a need for IT – only easy, straightforward access to Sunrise from the convenience of an iPhone or iPad. MDLog uses a simple flat monthly fee with no upfront costs and no contracts. You can be up and running using MDLog in less than 5 minutes. ©2014 MDOps Corporation. All rights reserved.